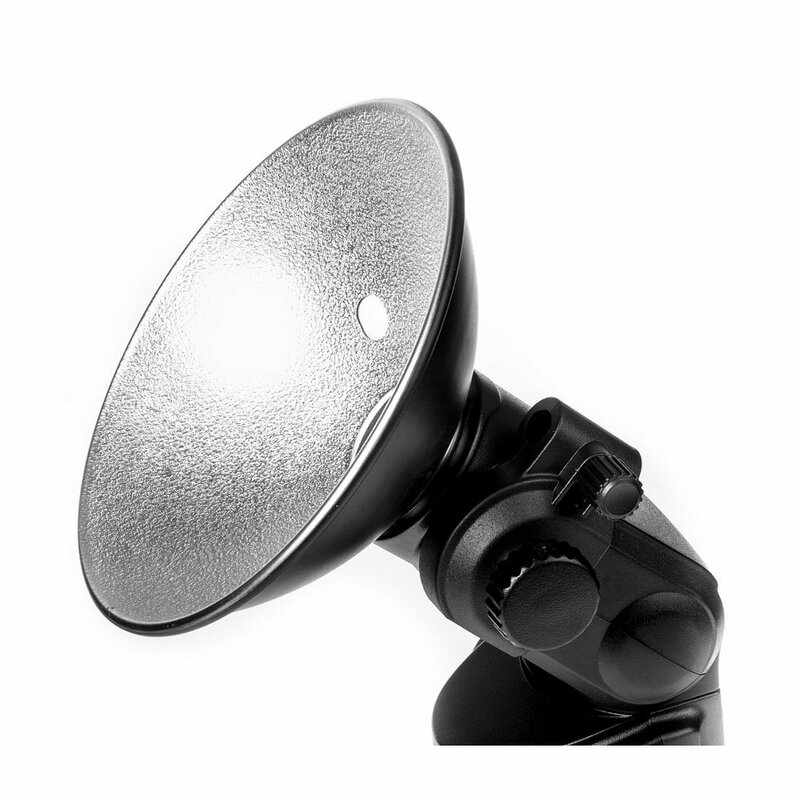 The distinctive plate-like shape of the reflector allows wide spread of light so it can be useful in many different shooting situations. 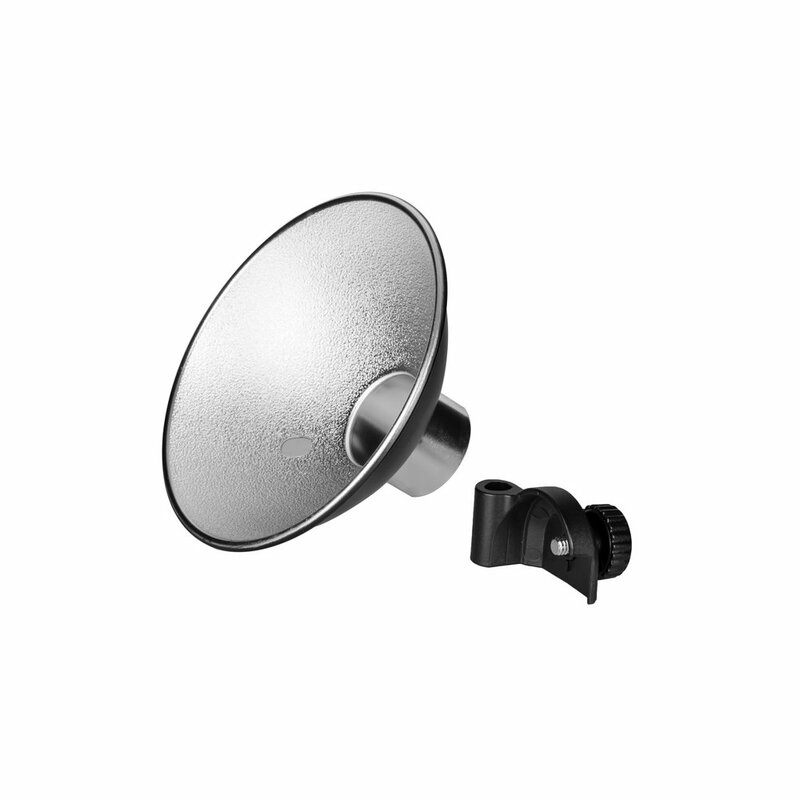 The inner surface of the reflector is covered with a reflective silver finish. The reflector is equipped with an umbrella holding clamp and appropriate opening which fits our Reporter Umbrella (you can also use other small umbrellas made by other manufacturers). Holding clamp is mounted on the side of the flash head. 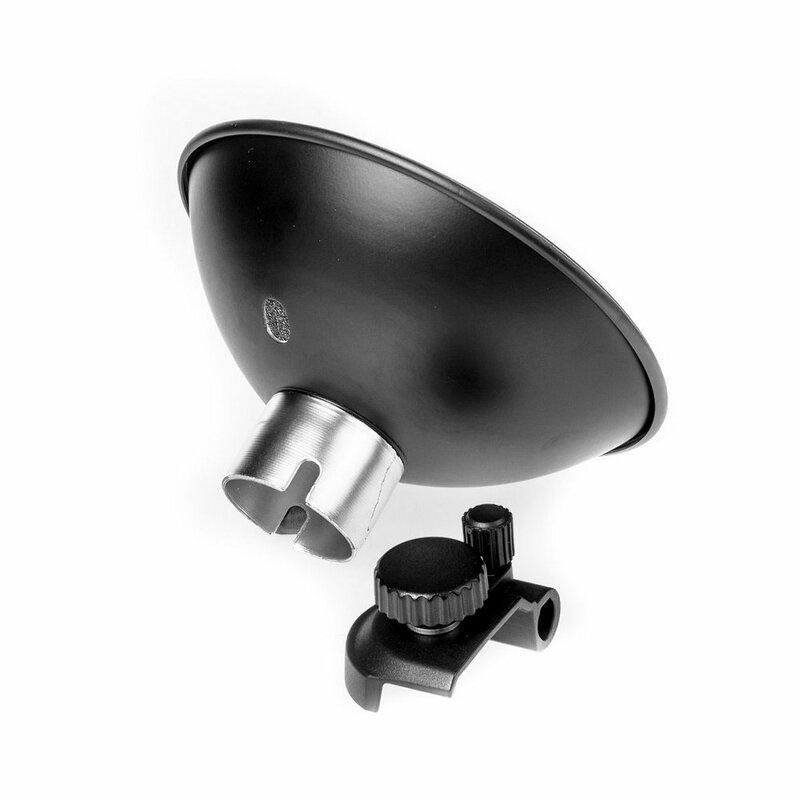 Installation is simple and fast, and the reflector itself can also be used without an umbrella. 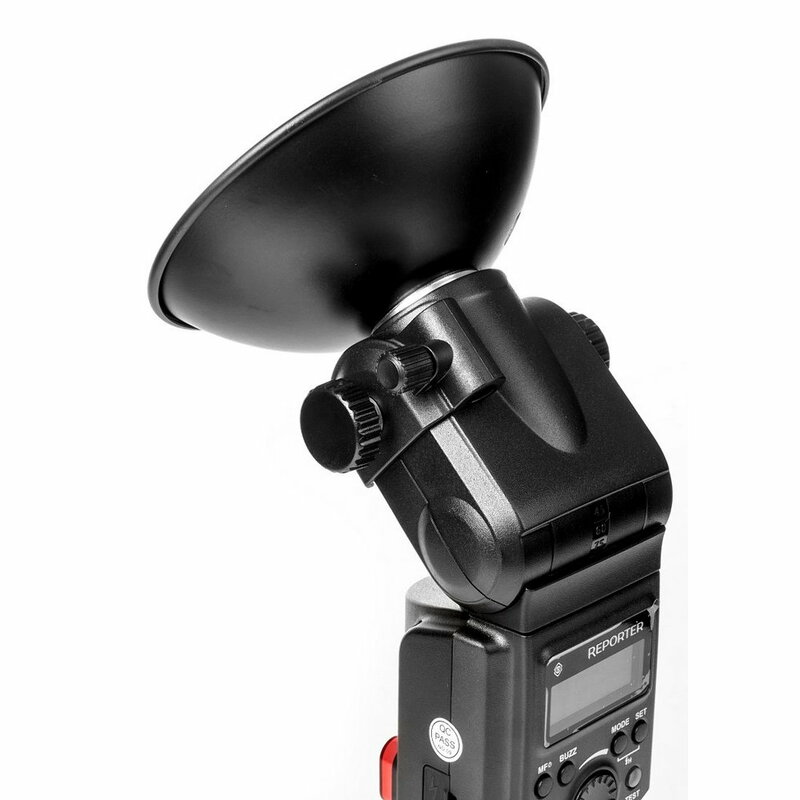 Reporter Reflector with Umbrella Holder is not compatible with Stroboss or other speedlite type flashes.